I did this mani recently for a meeting I had to attend so I wanted something a bit more understated than normal. 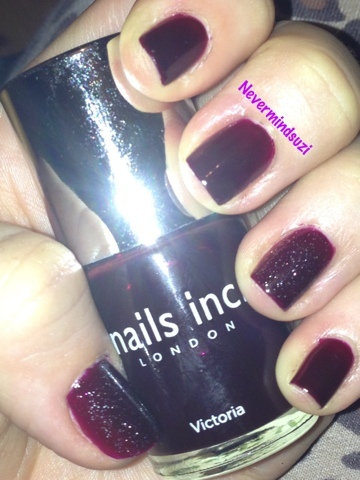 Nails Inc - Victoria is an "on-trend" (just for you Jen lol) ox-blood colour. Application was lovely and 3 thin coats gave perfect coverage. 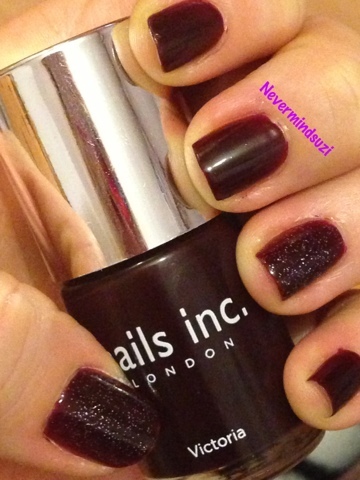 Oh that's very similar to Chanel's Rouge Noire which I used to love!